Easily make individual portions of hamburger, soup, stew, sauce, or baby food, then freeze. Individual portions pop right out of the tray, as needed. 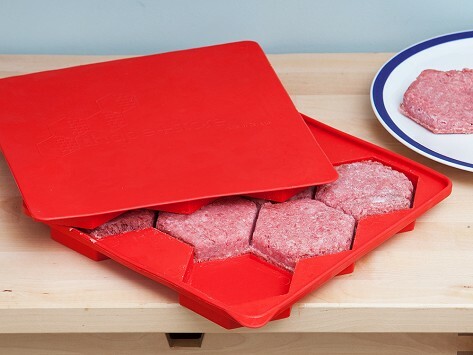 Use as a burger press, too. Fill the tray with meat and press on the top. 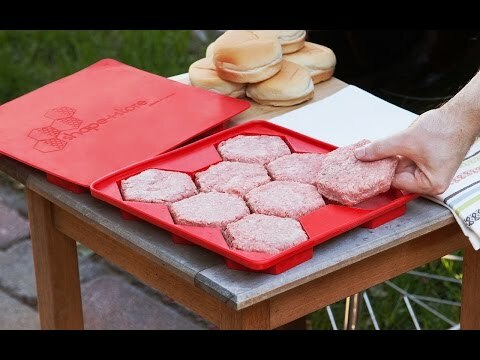 Eight patties made instantly, hands-free. Dimensions: 11" x 10.5" x 1"
Shape + Store’s trays are dishwasher safe, and the flat design is easy to store and transport. Save prep time and cook fresh servings whenever the time is right.